Luggage weighing more than the free baggage allowance and special or sports baggage may be checked in, in some cases for an additional charge, provided that sufficient storage space is available in the aircraft. Bulky or special baggage includes all larger items of baggage that cannot be transported via the baggage conveyor system and must be handled separately. Many airlines usually allow child seats, prams or wheelchairs to be transported free of charge. In all cases, it should be noted that special baggage must generally be registered at the time of booking. 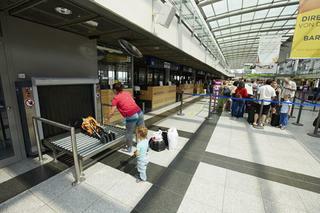 Passengers departing from Dortmund Airport need to register at the regular check-in counter first. The later check-in of special or sports baggage will then take place at the bulky luggage counter 01 at the departure level (level 1). Start your travels relaxed - by booking a parking space directly near the airport. Book online now in four easy steps.